Today's classrooms contain more posted information than ever - learning goals, success criteria, classroom expectations, anchor charts, word walls... I could go on and on. Teachers are expected to cram more information to the same space year after year. How do you fit it all in? Let's talk about word walls. 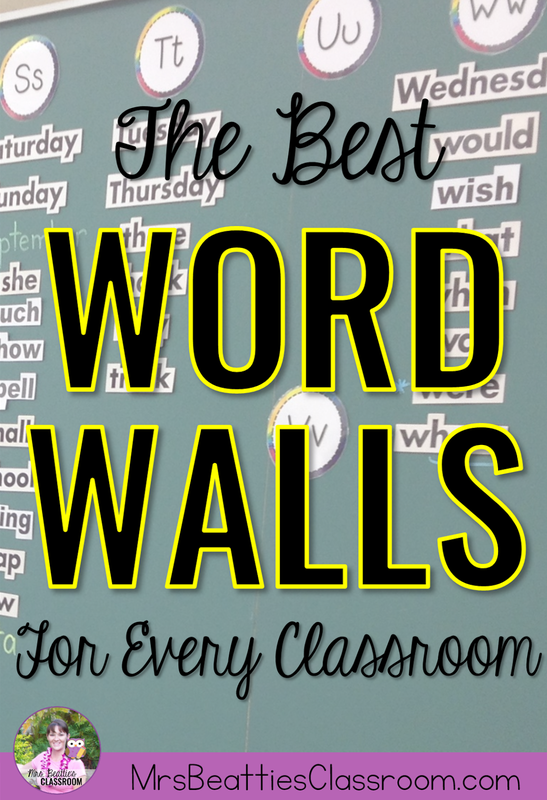 My word wall is one area that I personally felt was taking a TON of space, and I knew that I could use it more efficiently, so I've rounded up for you some examples of the best word walls and how you can make them work in ANY classroom! Large classroom or small, we've all seen the list of student names, common sight words, content vocabulary and rule breakers posted on a traditional word wall. When used correctly, they are an invaluable resource for our students in the primary grades and beyond. Traditional word walls should be part of your word work instruction so that the students will actually refer to and use the words listed there. Words should be added gradually and with the help and input of your students. Words placed on the word wall should be part of your regular practice. Clapping, chanting or guessing games like "Be a Mind Reader" or "Guess My Word" are a fun way for students to learn to read and recognize these words! Getting students physically involved with the word wall is a great way to help the learning "stick". Storing each word on a ring under the corresponding letter allows students to actually bring the word wall to them! 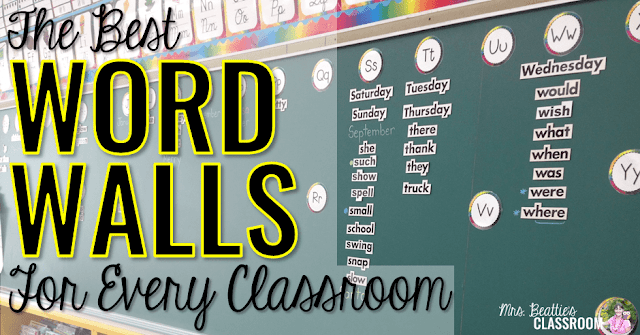 Giving students hands-on word work activities to use with the word wall words is also a great way to help them quickly recognize and spell these words correctly. 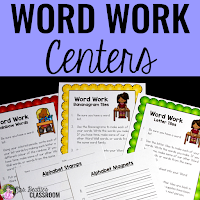 And my word work centers are a great way to get students' hands on! Some classrooms simply don't have the wall space for a large word wall. In cases like this, a personal word book or dictionary is a great way to give your students access to the words they need when reading and writing. 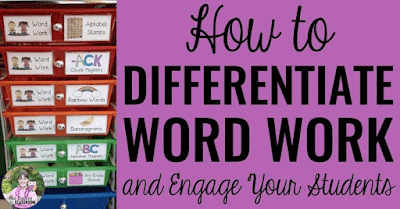 You can make these resources interactive by giving students the space to add words of their own, or use highlighters to direct their attention to certain words in the way you might color-code words on your wall. I personally LOVE using word books because I can more easily differentiate the words for my students' varying needs! This upper-level word book is available HERE. 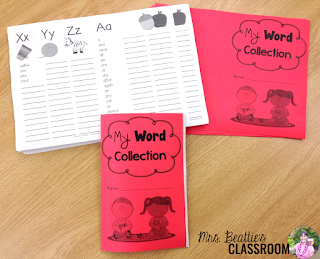 New to my classroom this year are word family lists! Closely linked to our word work lessons each week, these lists are space-saving and DIFFERENTIATED!! Each week I introduce a word family or spelling pattern. We brainstorm words that have the particular pattern, look for additional words around the room or in our reading, then we use them throughout the week during independent word work activities. What I love about this setup is that I can easily and discreetly differentiate by having my students working on different lists of words within each set. 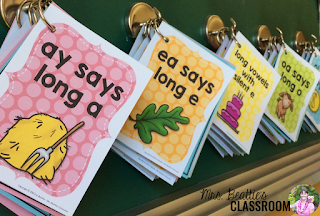 Finally, some classrooms contain a special section of their word wall dedicated to the rule-breakers - those words that don't follow the typical rules we teach kids about letter sounds and patterns. My coworker and friend, Christina, from Hanging Around In Primary, created this "Word Jail" that I absolutely love. She says, "I have the words in the Word Jail to help draw attention to them. We need students to learn these words by simple memorization. We spend a lot of time teaching decoding, but with Jail words decoding is not helpful. By giving them their own special place you can easily practice them and draw students' attention to them." You can read more about Christina's Word Jail HERE. I hope that you've found some word wall inspiration in this post! If you have other tips for having a great word wall, please leave them in the comments. I love hearing from you! I am just now going back into a primary classroom. I forget how much they don't know. Or for that matter what I've forgotten to teach. I came across your site through Pinterest. Great stuff! You'll definitely be a life saver for me especially with centers. I am struggling in this area. Thank you!